What does a six month head start get you? Apparently the opportunity to undercut your competitor’s controller announcement with one of your own. Following hot on the tail of Oculus Touch and its long-awaited release date news, Valve took to the stage at Steam Dev Days this week to tease a second generation of Vive controllers. Yes, already. We’re not at Steam Dev Days (since we’re not, you know, developers) but images “leaked” by excited attendees seem to show a controller that can be held even with all fingers open, and which conforms to the shape of your hand a lot more than the current Vive wands. There’s no word yet on release date, nor the specific capabilities of the controller—whether, for instance, it tracks finger movements through capacitive buttons like Oculus’s Touch controllers. That functionality seems like a safe bet though, and would bring the Vive back up to parity with the Rift once again, in this eternal game of leap-frog. The big question is how Valve sells customers on another controller iteration this soon out the gate. The rapid pace of virtual reality development is great for the platform itself, but less great for actual buyers. If these arrive in 2017, do people who just bought a Vive ante up the cash for a newer, better controller? 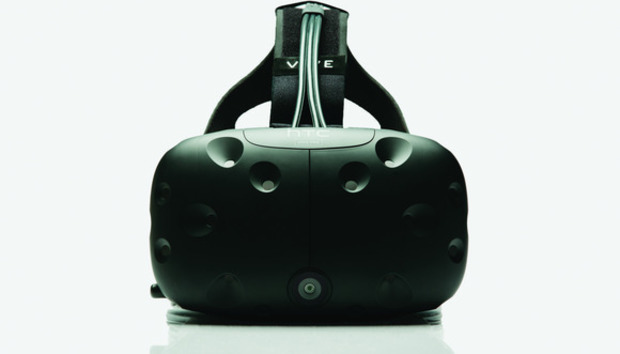 Especially if those controllers cost $130 each, like the Vive wands? Tough to say. In any case, expect these controllers to disappear for another six months. I’d wager the earliest we see them appear again is at GDC 2017 in February or March of next year.